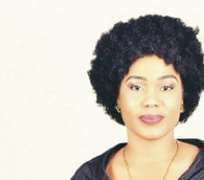 Nollywood actress, Gloria Ofunim, popularly known as Gloria Johnson, who was involved in an autocrash some months back has described her ordeal as a blessing in disguise. The actress, who has been bedridden for several months, stated that she is so grateful to God that she was able to come back to life and able to appreciate what life is all about. “One of my most blessed and favourite year is 2015. I'm grateful to Almighty God who gave me a second chance to live and made me to appreciate life more,” she said. The actress stressed that God has a reason for everything that happens to man in life as her accident turned things around for her that she has now gotten another Jeep after the accident.